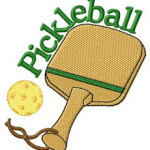 Starting Friday March 29th, MRFC will be offering a Friday Night Open Pickleball Round Robin from 6-8 PM! We will require a minimum of 4 players to hold the RR each week so pre-registration is required!! !